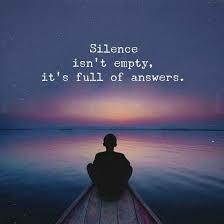 There is a certain amount of grace that comes to you when you are unable to anything but pure and gentle silence. How often do we honour ourselves with time to just sit and be in nothingness? Not often enough is usually the answer, and yet there is so much for us to gain when we grant ourself a moment to connect to the still of only the sound of our breath. All of the thinking our mind engages in can exhaust us not only mentally, but physically as well. Meditate I say to myself, but the art of meditation is not an easy undertaking to perform or achieve. Sitting on a cushion with my legs crossed and eyes closed, concentrating on the sound of my breath, I should be able to put myself in a state of enlightened relaxation. Surrender and relinquish your own will power, not to what your Ego says you don’t have time for, but to what you need to make time for, and that something is ‘you’. Standing still, even if it is only for a minute is like mini holiday, it has the same profound healing effects.